Your safety and protection are paramount when welding and the proper pair of welding gloves can make all the difference. The type of welding you do determines the best glove for your needs. Welding can almost be considered an art form by tradesman of all levels. Whether you are new to welding or a high-temperature metal artist, you need the proper equipment. Your gloves should always be welding gloves and not a substitution and be designed for a specific type of welding; for example, TIG Welding, MIG Welding, Stick Welding etc. The Miller Arc Armor product is specifically created for MIG and Stick welding functions. Fabricated using superior cowhide split leather and tough pig skin which covers the entire product including the gauntlet style wrists. Extra protection can be found by the intentionally positioned patches of extra strategically sewn material found on the palm and the back of the hand. This provides a double layer of insulation on the palm which will offer extended protection and durability. The fingers are pre-curved, so you experience a perfect ergonomic comfort and flexibility. They offer a Wing thumb application and design for total dexterity. Additionally, they are lined with flame resistant, 100% wool and sewn together with 100% flame-resilient Kevlar thread that provides the highest level of dexterity and seam strength. Extended Manufacturer warranties are available. This product does get a bit warm, but they are perfect for plasma cutting and other kinds of torch work in addition to providing quality MIG and Stick welding work. The extra padding of the palm area takes some time to get used to when getting a proper grip on heated guns. The majority of the welders found excellent quality, fit and design. Most agree these are a superior quality MIG welding mitt that has been designed specifically for heavy-duty work. They are well-insulated, and the 13 inches of length provides superior protection. They are surprisingly cool considering their thickness.Miller Arc Armor is rated as one of the best work gloves for welders. Far superior to the photos that do not do justice to the distinguished quality and value of the Miller Arc hand protection mitt. The insulation and materials make them the perfect year-round glove designed to draw away heat in addition to providing extra warmth in colder, wetter conditions. Even work to the highest standard when wet, consumers will be impressed with the quality of product, value, and extended warranties available. 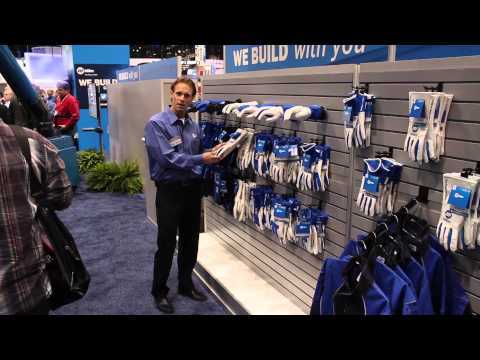 Some might say the ideal fitted glove for all your welding or metal-yielding activities. A minority of consumers had extreme wear after few months. The Caiman is manufactured as a one-size fit most overhead, Stick, and plasma welding glove. At 21 inches in length, it is the longest welding mitt available; it’s open gauntlet style with adjustable ends provide protection up to most elbows. The palm is covered with American deer hide while the remainder is produced from boarhide. Boarhide has been placed in heat-shielding patches along the long cuff and as a reinforcement palm patch. The Kevlar thread is heat-resistant, matching the optimum all-over design of the product. They work remarkably well for moving active fire objects. A small number of welders were not satisfied with the product as an overhead glove; it seems better suited strictly for Stick and Plasma welding. The thick insulation and overall bulkiness of glove might make are difficult when working with projects that require fine detail or exact movements. The fleece lining also makes the glove warm to wear. As a one-size fits most glove, welders may want a more fitted product. An overwhelming number of welders thoroughly enjoy the comfort and design of the Caiman and have found multiple uses such as the strength and thickness against parrot and snake bites. This product does come in two lengths, 21 and 23 inches making them the longest glove available. They have found them to be extremely multi-functional and very durable. Caiman is the welding industry’s first premium designed Stick and Plasma 21 inch welding glove. Kontour delivers a secure fitting 3-dimensional creation of comfort, protection, flexibility, and fit. The product is constructed to conform and match the natural form and model of the human hand while also providing expert finger alignment in one-size fits all design. They attain exceptional dexterity and comfort. Most gloves are cut with the seam crease across the palm; however, the Kontour follows the major crease line of the hand. They also offer a creation of several patches of leather adjoined by 100% flame-resistant Kevlar thread and match the anatomical creases of the palm and the hand. Another outstanding feature is the leather pulse patch which protects the sensitive wrist, and reinforced palms for long-term use. The Tillman 875L delivers one of the best Stick and Vertical welding gloves available. Made from 100% Elk skin, which is the only material to resist heat shrinkage and provide hours of heat resistance that will stay durable, secure, and protective. The dexterity provided by the thinner material also makes these a worthy investment by providing immense flexibility at the highest welding temperatures. The product is composed of a straight thumb with additional reinforcement, an unlined palm which provides extra dexterity, and a cotton/foam lined backing that adds profound heat resistance and protection. Sewn together with Kevlar thread, this is a warranted top-quality product created for the long-hour devoted welder. Even better than the advertising pictures show, welders are overwhelmed and impressed by the overall quality, comfort, and protection. These are not designed for overhead welding though, and the interior cotton padding eventually wears out and comes off after multiple heated uses. The feedbacks are in and consumers across the board are immensely pleased with the product they receive; they deliver as promised. Welders will be able to work for hours without any discomfort and these offer a longer life-span than most. They provide a comfortable fit with quality protection against heat; they offer a decent range of dexterity and has a fair amount of reinforcement against all welding issues. Elkskin material covering the entirety of the Tillman 85 provides the necessary heat shrinking resistance. Welders will be provided with a more durable, comfortable and better-performing hand, wrist, and above performance. They are also provided with a soft cuff and an unlined palm that provides the highest quality of flexibility and dexterity. A light-weight cotton foam provides extra strength along with heat resisting Kevlar threading. Welders will be thrilled with the unbelievable performance and value of the top-shelf hand, finger, and wrist protected Tillman 85. Ideal for TIG welding because of thinness. The Hobart premium welding gloves present a form-fitting hand matching manufacturing which offers advanced dexterity and comfort. They come equipped with additional shielding patches on the backside of each knuckle, a soothing, lightly padded palm and the important heat resistant Kevlar thread stitching. They are composed of a natural grain leather all-over and an additionally branded pigskin along the back of hand and cuff. They are unlined which offers full-range mobility. An unbelievable value for standard welding gloves and a manufacturer warranty is included. The manufacturer, Hobart, offers a 12-month warranty. Slightly on the thick side, but not cumbersome or preventative of the impairment of detail work and MIG and Stick welding. They tend to run small even for form-fitting gloves, so when possible ordering one size larger is recommended. They provide excellent material, stitching, and negative insulation while maintaining dexterity and full-range flexibility. Experienced welders agree that these are superior MIG and Stick welding gloves. They are pleased with one’s ability to touch hot piping and not flinch. The protective patches along the back of the knuckles and the padded palm add more protection than many form-fitting welding gloves. Even though this product is imported, the Hobart Premium 770440 offers a form-fitting welding glove that has a special cut which is designed to promote dexterity and comfort. In addition, they offer specific protection with the padded palm, and padded protection patches along the backside of knuckles. This replaces an interior lining that can be cumbersome. The Kevlar stitching along with split-cow, natural grain leather, the design offers superior heat and flame-resistant combination. Can run small and feel snug, order larger when available. Lincoln has created an all-purpose, general welding glove, well suited for the different types of welding including Stick, MIG, and Flux-Core, as well as other high-temperature welding and heat applications. Made from split cow-hide, they are excellent at resisting heat and flames. They are designed for durability and long-lasting use. Flexibility is not sacrificed as the Kevlar and welted stitched seams are used for an extended range of movement. They also include a sock-type lining and added thumb pad. It’s additional 5 inches at the cuff provides all-over coverage, strength, and comfort. These gloves are labeled one-size fits most. While fitting perfectly on welders with medium and large hands, this one size fits all glove is not adequately sufficient for those with smaller hands as too much room can lay cause for error. The interior lining is not stitched, and you might find it coming out sooner than later. Finer work may be hindered by all of the fingers measuring the same size of glove. Welders with larger hands will find a comfortable product made of strong and long-lasting materials. They provide optimum levels of flame and heat resistance and are reasonably priced. People in this occupation might also enjoy the red-flame pattern that makes this glove stylish as well as functional. These Traditional Welding Gloves are made of flame and heat-resistant split leather created for all types of welding, heating, cutting and other tasks. The interior of the mitt has a liner made with durable, lightweight, and comfortable heat-resistant cotton which is also used for its absorption of moisture and added protection and comfort. Durability is increased by the use of Kevlar thread and stitched seams are reinforced with additional leather to prevent rips, tears, and holes in the fabric. This glove is used by professional welders in the industry and provide ideal strength, durability, and fit. The Steiner is considered among the best, specifically designed MIG welding hand protectors with a 50-year reputation behind its industrial construction and unfailing protection. They are outfitted with all the characteristics suited for heavy-duty welding and heat-handling activities offering the wearer comfortability and safety. This is a long sleeve gauntlet style mitt created using shoulder split 100% cowhide leather with foam insulation along palm and back. The lock-style stitching is made using flame-resistant Kevlar thread, and the fingers and seams have been welted to stop wearer from receiving burnt stitches. Steiner’s provides the highest amount of security while allowing for an increase in function at work or while pursuing a hot hobby. Designed for larger hands, the fit will swallow, smaller thinner hands. Even larger hands might experience extra thickness which has the possibility of lessening the control of smaller, more detailed work. The quality of the stitching is also a bit poor even if it is Kevlar thread being used. These gloves can be used for different types of MIG welding and metalworking. They offer a full-arm length of protection with ending extending past the wearer’s elbow allowing for extended resistance against flame, abrasion, and extreme temperatures. Both lightweight, flexible and soft, they will be comfortable and durable, exactly what professional welders expect from Steiner. The Steiner is created from first-rate, 100%, split, cowhide leather. It’s featured characteristics include palms and back of insulated foam, thorough interior lining of full cotton, reinforced and stabilized thumb straps, and completely welted Kevlar threaded seams. It offers an extended 23 inches of gauntlet style comfort, security, and protection for MIG welders and metalworking enthusiasts. Low medium quality of stitching. Tanox introduces their all-purpose, 100% split cowhide leather welding gloves and sleeves combination for maximum protection of your fingers up past your elbows. The set comes with a pair of 16″ gloves and a pair of 16″ arm sleeves, making them a perfect set for all welding and metalworking trades. Double reinforcement has been added to the hand’s palm and backside, fingers, and thumb which are sewn together with fire-resistant Kevlar threading. The interior of each offers a Gunn cut cotton material to provide maximum temperature control of hands and comfort. One size fit most with both glove and sleeve and can be used in all areas of welding including both TIG and MIG and other hear involving activities. The elastic banded, fire-resistant cotton sleeves that while resisting most heat and sharp objects, they are not impenetrable. Satisfaction is guaranteed. At first use, the fingers might feel stiff and restrict movement, but with time and use, they loosen quickly. Perhaps the reinforced leather in this area causes the stiffness, but it is easily resolved with manipulation of the glove. The cotton, flame-retardant lining might also aid in this, but the high quality of sweat absorption and temperature control are worth it. The gloves and sleeves offer a great value to some of the most comfortable welding mitts available. It has multiple uses beyond the welding fires and is protected from cuts, scrapes, flames, and other heavy-duty outdoor chores. Tanox introduces it universal utility glove that is perfect protection for all of your heat and fire activities, as well as multi-purpose protection during gardening, cementing, grilling, glass, metal and ceramic casting, and every outdoor and welding use. This product includes 16-inch gloves and arm sleeves for entire arm protection. Double reinforcement, Kevlar stitching, and Gunn cotton lining make this set one of the most comfortable, safe, and protective gloves welders can buy. Revco’s are premium 100% goatskin TIG, Stick and MIG welding gloves with added soft and strong drag patch. The palm is soft and pliable goatskin and the back of the hand is lined with a cowhide backing; both reduce hand fatigue and provides durable protection for the entire hand. The padded DragPatch is designed for singular hot zones with added coverage on a seamless index finger that has been added for superior welding and heat gun trigger control. Sewn together with Kevlar heat-resistant thread; this size small product protects and saves your hands from heat and flame associated with welding and metal shaping activities. These gloves will endure some shrinkage when exposed to the hot parts of MIG welding. Make sure to order the right size or they will be too big for TIG welding; they should fit snuggly but still allow for air flow through the back of the hand. Welders are pleased with the comfort and dexterity of the gloves being able to hold a trigger in one hand and the other glove as guiding protection. Excellent glove for smaller hands that are working with MIG welding, as they were designed for use in this manner. If you want a high-quality multipurpose welding glove that is designed for TIG and Stick but fits well enough with enough heat resistance to also cover MIG welding. High-quality goatskin offers the maximum dexterity. They should fit snuggly but also offer breathing room. Elastic writs keep the product in place and prevent heat from welding applications, from entering the glove. 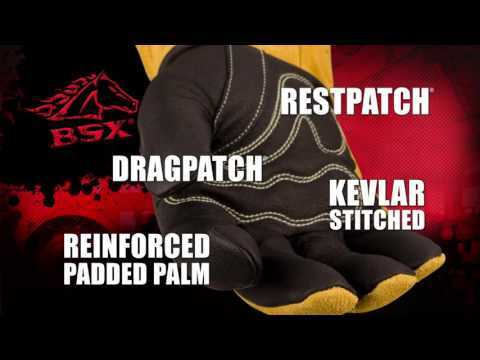 A Black Stallion patented feature is the Drag Patch reinforcements that help your hand stay comfortable when resting against welding surfaces. Shrinkage occurs in extreme heat. The MCR Mustang is a premium welding glove good for all types of welding. Supreme grade cow’s leather covers the entire palm and hand while a 4 ½ inch gauntlet cuff of split cowl leather has been sewn and attached with glove using Kevlar heat resistant thread. A wing thumb and Gunn pattern has been used allowing for extra protection, safety, comfort, and durability. These gloves provide all the characteristics welders look for in multipurpose welding gloves. Get your hands adjusted to this glove prior to attempting cutting of metals as they are not as thick as some alternatives, but this is what makes them perfect for both kinds of welding; the fit is flexible, and the protection is long-lasting and durable. Welding professionals and beginners both will appreciate the comfort and design of these MIG/TIG welding gloves. The joint use of the 2 different kinds of leather sewn together with Kevlar threading and doubly reinforced will provide the ultimate protection that is needed in welding materials. Designed for both MIG and TIG welding, the MCR Mustang has the necessary thickness, but snug comfort to offer both dexterity and flexibility with extreme heat protection. The Kevlar threading is designed to resist sharp metals and sparks from welding instruments that are the primary reason for unraveling or holes in gloves. These mixed cow-leather gauntlet style gloves will provide for all your needs in the welding and metalworking industries. Medium expense, not as thick as some MIGs but still suitable. The BSX Vulcan is a premium quality mixed leather Stick/Mig glove. It is designed with a pigskin palm with a CushionCore padded lining and Kevlar stitching sewing the palm to the Split cowhide backhand. It is ergonomically designed to help prevent hand fatigue with double cowhide reinforcements. It’s patented DragPatch is also made from premium grain pigskin. Although an ideal stick welding glove, it is suitable for all your welding needs because it offers superior fit and comfort while having the thickness level to protect from higher heat activities. This product is great for vertical and horizontal welding work, however, over continued periods of use, the heat will be felt through the absorption of the thinner palm style. Other than that, welders have been very pleased with this multi-purpose welding glove, saying they were worth the investment if an all-purpose glove is what you are searching for. Whether it’s your first pair or last pair of welding gloves, beginner and professional welders, alike, will be pleased with this companies’ quality design and fit of their MIG/Stick welding gloves. The BSX Vulcan offers first-class design, fit, protection, flexibility, and durability, all the qualities any welder looks for in their equipment and safety gear. The BSX Vulcan are designed to be Stick/Mig welding gloves designed with black pigskin and bright red flames decorating the back of the cuff. They provide the ultimate in mixed welding and metal working activities and offer supreme-quality protection, comfort, and durability. Featured on this glove are the CushionCore padded lining and leather reinforcements on palm for the best quality in heat and flame resistant materials. It also features a lined backing and a patented DragPatch side reinforcement. Stitched with Kevlar flame-retardant threading; these are professional grade welding mitts that will last you through years of application and wear. Whether you are a beginning or professional welder, the right tools and gear are imperative for your safety and protection while dealing with heated elements. One of the most important products you can buy are your welding gloves, but not every welding gloves is the same. 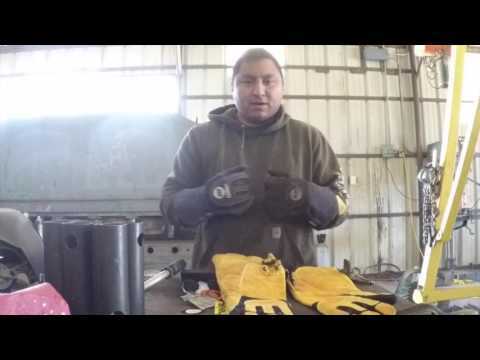 Depending on the type of welding you do helps dictate what type of glove you should invest in. The key elements that you need to search for are gloves that provide heating and cutting protection, the right lining, the perfect amount of dexterity, made from the right materials and are high quality and durable. Our Buyers Guide will outline these essential qualities so that you are prepared for your welding glove investment. To ensure the durability of your gloves that you are comparing, the first thing you want to check for is that the gloves you are purchasing are tough and long-lasting, providing protection for all areas of your arms, hands, and fingers. The materials that are used will help determine the quality of your glove. A high-quality welding glove will be made of high-quality leather and some sort of lining. You will not want so much lining that you trap heat inside, but ones that provide adequate levels of breathability also. However, good insulation is needed, so check for Gunn cotton, other leathers, and non-flammable conditions. The various types of leather used in welding are made from elk, cowhide, deer, pig, and goat. Each offers a different characteristic quality making it better for different welding types. Finally, all welding gloves should use Kevlar thread and stitching; this material is flame and heat resistant and is the only material that should be used for such detailed work. Welding gloves need to fit comfortably and securely for optimum safety and performance. Ones that are too bulky or have to much room has the possibility of creating more of a problem than being the solution to others. Gloves should provide dexterity, and full-motion range and the type of thumb and forefinger that provides the most security and fit will be ones designed for your comfort and type of welding you are performing. TIG welding gloves need to fit snugger than most and be designed for precision work. They need to offer the most in dexterity. Some will have forefinger and thumb differently than other gloves to allow you to work with the greatest amount of detail work. Keystone thumbs are a beneficial possibility too. Gloves made of Goatskin are the best choice of leather to use when TIG welding. They deliver durability while also providing the necessary levels of dexterity needed. If you can’t pick up a coin while wearing the gloves, search for an alternative pair. You are exposed to more heat and splattering when MIG welding, and you also require protection from flying sparks from the fire. Gloves that are lined with goatskin and made from cow grain or cow split gloves that are a heavier weight provide the most protection. The sleeves or cuffs should be longer when performing this type of welding. MIG Gloves will be durable and protect from heat, sparks, and spatters. 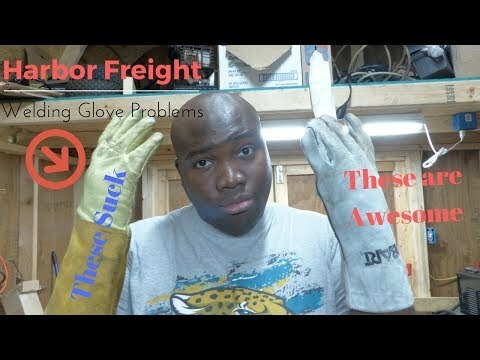 Stick welding gloves need to be extremely heavy duty. With this sort of welding, the highest amount of protection is needed. High heat and spattering take place during stick welding, so protection over dexterity is more important. this type of welding, you’ll need the highest level of protection! Gloves that have extended sleeves and protect more than just hands are required. Also, they should provide an excellent quality lining. The best leather to use for stick welding is a cow split leather that is heavyweight. The choice you make for the best glove depends on the type of welding that is being done. Your optimum fit, characteristics, and material may be different than someone else’s needs. Therefore, it is critical you know what type of welding you will be doing, so you know what level of protection, flexibility, and durability needs to be provided by your welding gloves. If you have any questions or suggest please post a comment using the field below and I’ll answer ASAP!